Every year, hundreds of thousands of Corp members complete the mandatory one year service of their nation and set out to add value to the society and create the life of their dreams. Some of these young, brilliant and enterprising Nigerians get gainfully employed, while others start their own enterprises. However, due to the high unemployment rate in the country, quite a number of graduates end up not getting jobs, while a large number become underemployed. 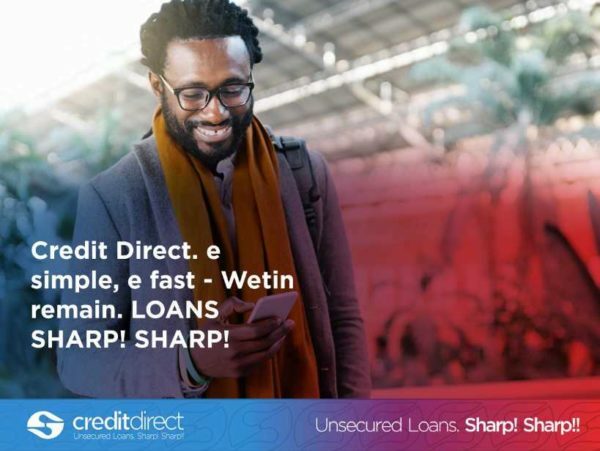 We at Credit Direct have seen that a lot of Corpers in Nigeria are entrepreneurial, full of boundless ideas and energies, however, a lot of them struggle with securing start-up capital to kick start their small businesses and enterprises. This is why we launched our ‘Empower the Corps’ product in 2011 to provide funds to Corpers who are looking to kick start their own enterprises. Corps members can access loans up to N100,000 to set up their businesses. These loans are collateral free, and you can pay back between 1-9months. All you need to do to access this package is to log on to www.empowerthecorps.com.ng, create an account, provide the necessary information and get your loan within 24 hours. What are you waiting for? Get the funds to turn that idea of yours into a business today. Don’t miss out on the fun while in service, share your service experience on www.social.empowerthecorps.com.ngshare pictures, videos about your time in camp. Let the world know how your service year is going. People, this picture is not representative at all. Which corps member is walking around in a peacoat and neck scarf in Nigeria.